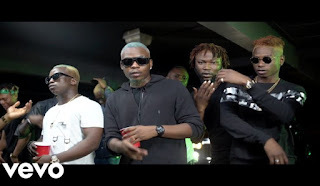 Nigerian Rap-Star ‘Olamide’ The YBNL Front man, is out the the official version of the video “Wavy Level”. The Incomplete version pop out online on his official youtube channel few hours ago and here he releases the full version. Since the release of the tune, The song has slowly become the street anthem and Peoples choice of listening. The wavy video was shoot and directed by Mr Moe Musa.